For those that want to eat food they love with effortless cooking, come and join this Mediterranean Cooking Class! A good introduction to Get Cooking and a way to learn three simple – easy to make – Mediterranean dishes. I often argue some of my favourites involve very little time in the kitchen. Here you make Italian meatballs, a classic risi e bisi (risotto with pancetta and petite pois) and we demonstrate a versatile spaghetti dish where a little anchovy, fried bread, lemon rind, herbs and other Mediterranean ingredients can be tossed in. This afternoon event is part of our new series of Fast Cooking Courses. 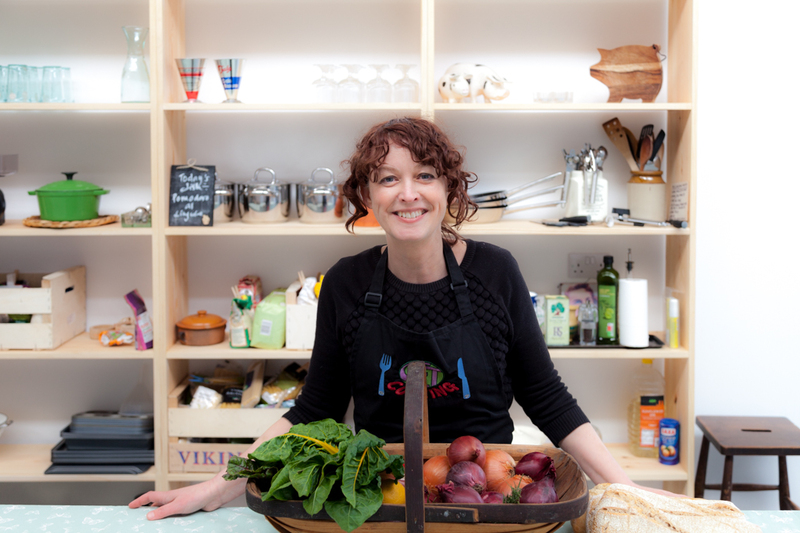 Emily Carey has been teaching people to cook classic and original dishes for over 8 years, driven by her passion to make home cooking more widely accessible. Her childhood, in a home where good food, especially Mediterranean food was ened, started her off on a journey of discovery and exploration. She developed an eye for good recipes and learning what foods work well together, adding to this a flair for bringing food and people together, and that became the basis for Get Cooking. 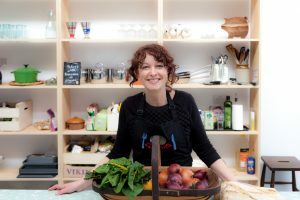 With a simple start in 2010, and the opening of an exciting and unique venue in Farsley in 2016, she has continually incorporated fresh ideas into the business. You will be welcomed to the cooking school on arrival where you have access to tea and coffee making facilities and you can grab an apron. This is followed with a brief introduction to the course structure and kitchen before getting stuck in. All of the ingredients are provided and you will have your own worktop space, kitchen equipment and utensils to work with in our home-from home spacious kitchen. You will have a minimum of two induction rings and access to an oven / sinks. As a general rule, you will follow Emily as she demonstrates each stage of the dish. Emily will cover key skills, quick tips, information about the ingredients and origins of the dish. The dishes you prepare are designed for two people and you will take these away at the end of the class along with the Get Cooking recipes. Don’t forget to bring large sealable containers! Ingredients, an apron and copies of recipes are all provided. You just need to bring a couple of your own large plastic containers to take away the dish(es) you make. How do I book onto courses at Get Cooking? Simply book online using our secure payment system and you will receive an automated email. Or if preferred, email (or ring) with details of the course you wish to book onto & we will send you an invoice with payment details. We confirm bookings once payment is received. The course I am interested in has already started, can I still join? People are always welcome to join any of our weekly class courses that have already started subject to available spaces. Get in touch to find out more. I have a gift voucher, how do I redeem it? Just email us with the voucher details & course you wish to book onto and we will register you on. If the cost of the course is more than the value of your voucher we will send you an invoice for the difference. Yes – there is a large free secure car park at Springfield Mill Commercial Centre where we are based. How easy is Get Cooking to find? We are just a minutes’ drive from the Outer Ring Road/ A6120. Turn off at Rodley Junction, as you head towards Rodley village turn right onto Bagley Lane (by The Owl). The car park to Springfield Mill Commercial Centre (Gate 3) is a few yards on- on your right. Or click here for address, map & more travel information. We can adapt our dishes for most requirements but please do let us know when you book or drop us an email to discuss. We advise those particularly with a food allergy to read our Allergy Policy. Is Get Cooking wheelchair accessible? Yes there is wheelchair access to the cookery school, a wheelchair accessible toilet and two of our workstations can be lowered for wheelchair use – just let us know at the time of booking. I am 16 years old, can I join any of your courses? If you are aged 16 and over you are welcome to book on any of our courses. We usually suggest that those under the age of 16 join a course specifically designed for their age group. How many people can book on your courses? We would not normally take any more than 10 bookings per course (sometimes less). I have little experience of cooking, can I still join one of your courses? Yes absolutely. We welcome everyone on our courses whether you are an experienced or inexperienced cook. We provide extra support to whoever might need it! I have a question but it isn’t on here, is it OK to get in touch? Please don’t hesitate to ask any questions. We will get back to you as soon as we can. Email admin@get-cooking.org.uk or drop us a text on 07595510039.